Publications before (preprint) oder after peer review (accepted manuscript) can be additionally published as open access on our institutional repository TUHH Open Research. What does my publisher allow? Many publishers allow authors to publish articles on their own repositories.For the TUHH this is TUHH Open Research (TORE). Usually an embargo period has to be obeyed and the accepted manuscript can be used for this purpose. The SHERPA/RoMEO database of publishers’ policies on copyright and self-archiving provides an overview of the different conditions of many publishers and journals. If your article is not published with an open access licence, then ensure your right on self-archiving! Die TU Hamburg erhält das Recht, den Inhalt des Artikels mit dem Zeitpunkt seines Erscheinens (alternativ 3 oder 6 Monate nach Erscheinen des Artikels) der Öffentlichkeit über das Internet oder in sonstiger Form frei zugänglich zu machen. 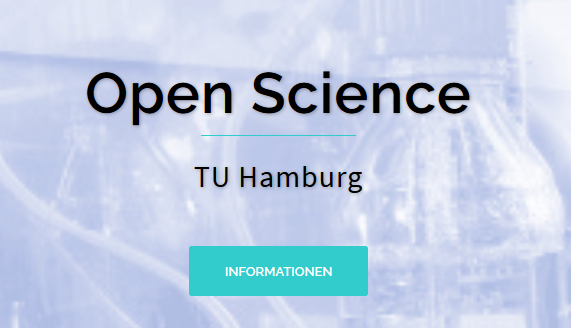 The Hamburg University of Technology (TUHH) shall be entitled to make the contents of the article freely accessible to the general public on the internet or in some other form at the time of publication (alternatively 3 or 6 months after the article’s publication).